The Arizer Solo Vaporizer is a portable vaporizer that allows you to choose from 7 temperature settings for your dry-herb medicating session. With that said, the Canadian product may be best known for its glass-on-glass delivery system. Personally, I found the Solo Vaporizer to be to the perfect size to fit in your hand, and it’s hearty manufacturing made it that much better. The product’s weight and finish truly make you feel as if you are using a quality product. Nonetheless, it weighs less that 2 lbs. Its feel, in addition to the simple, low-tech design makes it seem as if using the Arizer Solo would be as easy as the press of a button. Unfortunately, that is not the case. The Solo Vaporizer has a bit of a learning curve. Once you learn the necessary process however, the medicating session really is quite enjoyable. 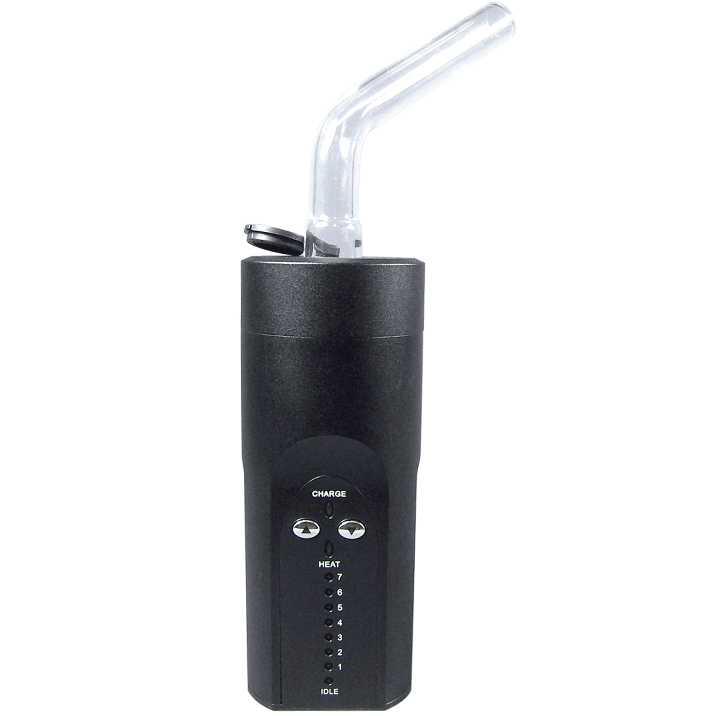 However, due to its price point and the lack of discreteness, the Arizer Solo may be best compared to the Thermovape Cera. 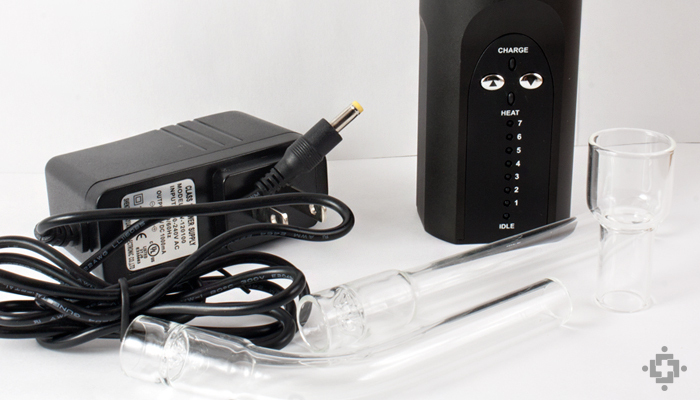 The first step to start using the Arizer Solo Vaporizer is to charge the lithium battery, which is said to allow up to 3 hours of continuous use. Once charged, you must press the up and down buttons simultaneously in order to turn the device on, at which point the LED light system will let you know how much battery power you have. At this point, the Arizer Solo will be idle, and you must simply press the up button to engage the heating process. As mentioned, there are 7 temperature settings from which to decide, and the LED lights tell you which setting is chosen. I found level 3 (≈ 374° F) to best suit my needs. Once a heat setting is chosen, the Arizer Solo will take between one and three minutes to reach the desired temperature. Coincidentally, that is just enough time to load the bottom of your desired diffusor, which are each made from borosilicate glass, with finely ground flowers. Once the chamber is packed, and the LED lights show that the Solo has reached your desired temperature setting, you may insert the glass diffuser into the opening atop the unit. Mind you, it can seem like a bit of a tight squeeze at first, but it forms a pretty snug fit when all is said and done. As a result, there is very little vapor loss when using the Arizer Solo. Now everything is ready to go, and the heating element will keep running for a total of 12 minutes. Should you prefer to turn the unit off sooner, the Arizer Solo Vaporizer can be powered down the same way that the process began – pressing both buttons simultaneously. In contrast, you may always turn the unit back on in the event that it turns off before you are finished. It should be noted, however, that the glass diffuser tends to get hot in such a case; It is best to let the unit cool down before packing it again. 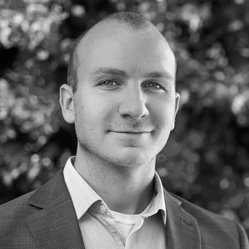 What concerns me most about the Arizer Solo Vaporizer is that it is not intuitive. It would be near impossible to know how where to start without some form of directions. Similarly, I could certainly see a number of inattentive patients burning their hand in an attempt to empty the chamber after a medicating session. Another detriment to the Arizer Solo’s overall appeal is its lack of traditional “portability.” Its weight makes it a less-than-desirable travel buddy. Similarly, carrying a glass diffuser everywhere you go could be difficult, especially considering the lack of a carrying case. I have found great use for it when relaxing at home however. All in all, I find it much more convenient than setting up stationary vaporizers like the Vapir Rise, and the vapor quality is much better than that of most portable vaporizers. It seemed hard to pull at first, but I was soon able to adapt and take long, smooth draws from the diffuser. I found the Solo to produce thick clouds of tasty vapor, providing for an incredibly relaxing medicating session. This quality, combined with a cheaper price tag than its competitors ($233), justifies trying the unit for yourself. 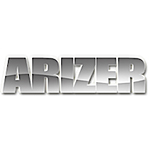 Consider the Arizer Solo if you are in search of a portable vaporizer with similar vapor quality to that of a stationary unit.